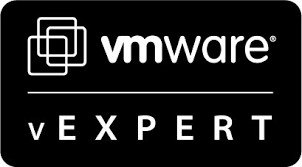 Following on from the success of the Scottish VMware User Group meeting in Glasgow, I will be speaking at the North-West England VMUG in Manchester on Wednesday 25 May. I will be hosting a session titled “How to ensure your VDI implementation doesn’t run like a three-legged rocking horse”. As well as my session, there’s an exciting line up of industry household names including Joe Baguley, VMware EMEA CTO, and Matthew Steiner talking about vROPs (hot topic at the moment!). James Smith from Pernix Data will be presenting, with his session titled “Eliminate the Guesswork with Analytics Driven Storage”. vExpert Dean Lewis will also be presenting a community session too. Pernix Data and Nimble Storage will be sponsoring the event, with vBeers afterwards. The full agenda can be found at https://www.vmug.com/d/do/12534. For more information, and to register for this epic event, please go to https://www.vmug.com/p/cm/ld/fid=12558.